My first impression of Kaylee and Nick was that they were both extremely down-to-Earth people who deeply care for one another. It’s endearing to meet a couple like this and have them as our clients. It’s also refreshing to have a couple that are both present at the first consultation, as well as throughout the entire floral design process. Kaylee and Nick wanted to plan every detail of their wedding together from start to finish. I have a lot of respect for that because it shows that they truly have a loving partnership and want to make decisions as a team. It also allows us to get to know them individually so that we’re able to incorporate each personality into the overall design of their wedding. This was a fairly smaller wedding than most with about 65 guests, so the couple wanted to really have fun dressing up the tables for their friends and family to enjoy. They had mentioned using a lot of greenery, so we opted to incorporate as assortment of eucalyptus for garland, and then placed a mix of small and large lanterns down the center of the tables. It was just enough to create something that was memorable without going overboard, which was what the couple was aiming for. 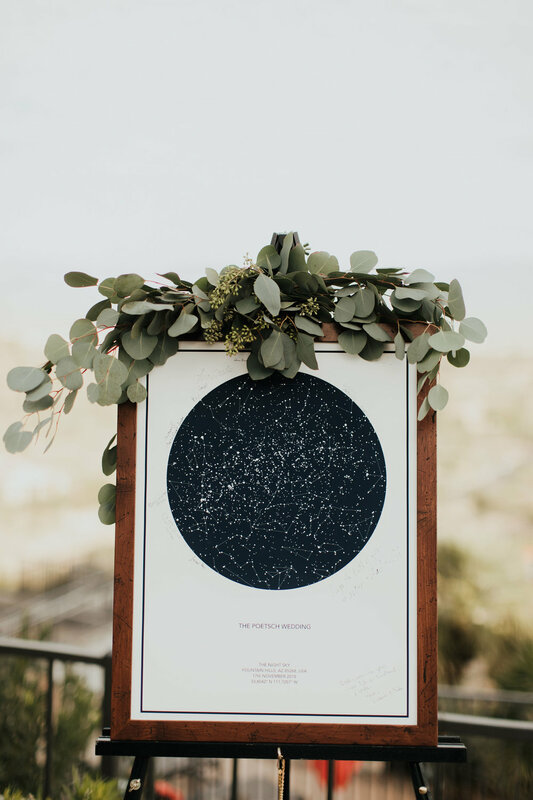 The two also wanted the arch to be a focal point for their wedding, so we used a lot of eucalyptus, garden roses and antique carnations for a look that still made a statement, but didn’t take away from the breath-taking, mountainous background. Seriously, that view is epic! And there was an awesome Solar System themed wedding cake that was a fun symbol of their love for outer space. There is a special connection we have with each and every wedding we are a part of. Every bride and groom's personalities, styles and overall visions for their wedding day are always different, which is why our job is far from dull. Each wedding we do never looks the same as the last, and each team of creatives and vendors we get to work with changes. 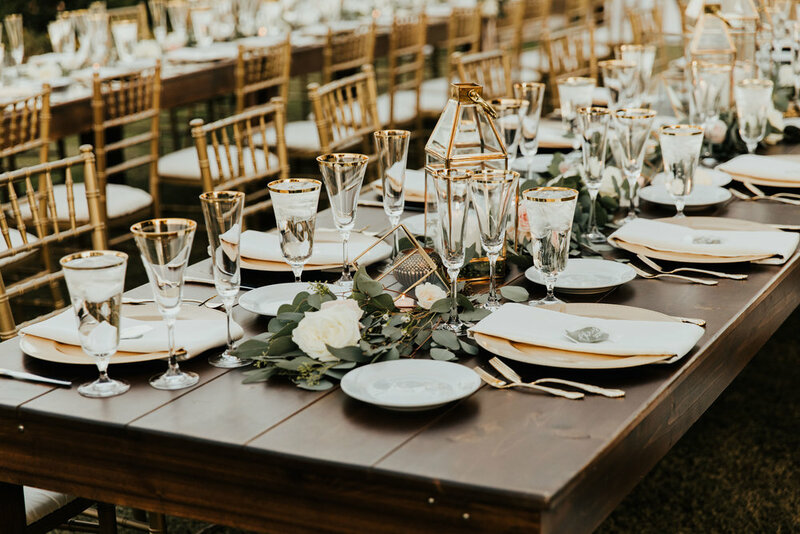 A couple's wedding day seldom goes forgotten, and we make it a mission to provide flowers and decor that is fitting to who our clients are as individuals. On the day of December 31, 2016, Erin and Patrick were married at The monOrchid... where they also rang in the New Year with their loved ones by their side. These two worked closely with a team of people who came together to create a wedding to be remembered. One of the reasons why this wedding came together seamlessly was because of the quality relationships the vendors already established with one another. With the help of Kris and Tyler from Konsider It Done, a dream team was literally created. When you are working alongside your friends (those who just understand your style and trust in your work) it makes the process that much more amazing. We admire the efforts that every single vendor put into this wedding, especially Kym Ventola. We go wild for her work! She pays attention to the details, the moments, the light, the emotions.... to everything that truly matters in a photograph. 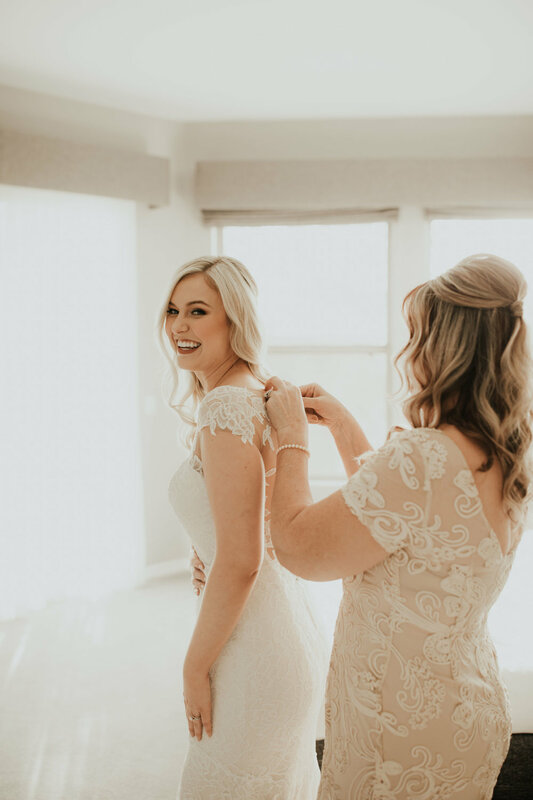 She has been featured in countless print and online publications, and once again her work (and the team behind Erin + Patrick's wedding) was highlighted on Junebug Weddings this week! It's always an honor to know that one's work is being seen by people across the world... it's a trippy feeling.